With the Banks Power iQ Backup Camera Model you can keep an eye on what's behind your vehicle. With the optional Banks Backup Camera you're able to see things that are out of view like small children something left on the ground or low barriers. Mount it to the back of your vehicle along with a Banks iQ Monitor 2.0 to help when backing into your garage out of a parking space or anywhere you need to see what's behind you. The Banks Power iQ Backup Camera is perfect for any tow vehicle by simply mounting the camera on the back of your trailer or even your motorhome. Increases safety and visibility behind the vehicle. Great towing application when mounted on a trailer. Mount on motorhome to increase driver confidence. For Use with Banks iQ Monitor 2.0 and up. A/V ports on iQ required for backup camera connection. See the WIFI backup camera on your iPhone iPad or any Android phone. Product support all iOS and Android device. Just download the free APP and you will see the WIFI backup camera on your device including iPhone iPad Samsung and other smart phone device. WIFI Back-Up Camera shows video on your smart phone allows you to see what is behind you before you back up. Install on the back of your trailer RV and see whats behind at all time. License plate Camera easy mounting provides 100 degree wide angle viewing with Night Vision. Installation is easy just connect power to the camera. Dimension - 15 x 0.5 x 0.5 in. 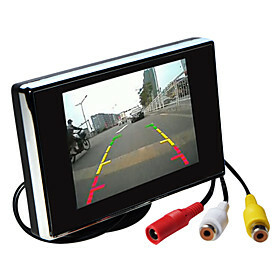 Wireless Full Color Back-Up Camera System. Magnetic Tailgate Mount. 960 x 240 LCD Resolution. Dimension - 8.6 L x 8.5 W x 2.1 H in. The BCI-CH21 is a Navigation Unlock integration interface that allows the factory navigation features of your Dodge RAM radio or the reverse camera to be used by the passenger at anytime. 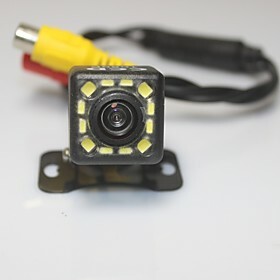 The BCI-CH21 will program the factory radio to allow the addition of a reverse camera input if the vehicle is not equipped with one from the factory. The interface also offers VES activation and Audio & Video input capabilities.